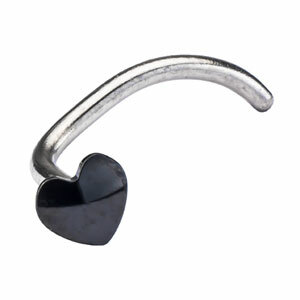 Hypoallergenic Blomdahl black titanium 3mm heart nose/nostril studs. 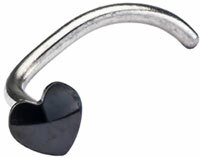 Black titanium nose studs have black coating on the bezel (jewellery part) only. 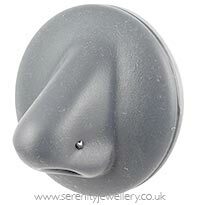 Please select the nostril that the stud is for. So if you have your left nostril pierced you'd need the left nostril stud.